4) About 20 years ago, on some old guy at Pro Line Studios. ... Hey, wait a minute! Just in time for the Super Bowl, welcome to Coach-Manager Week: Whether in a dugout or on the sidelines, a team's leader is an old dude who's almost always rocking a big gut and a bigger attitude. Too often these gentlemen of the game are cast aside, forgotten and never given the credit they deserve. The Bust wants to change that. 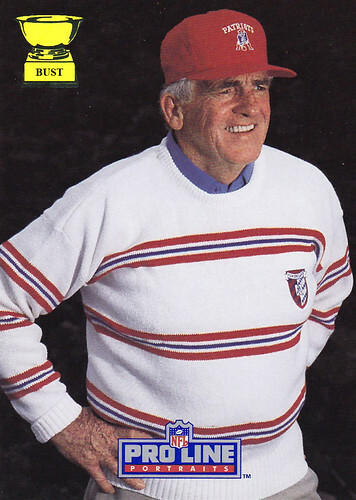 For seven glorious days, we'll bring you the coaches and managers whose knowledge of the game is only exceeded by their fashion IQ. 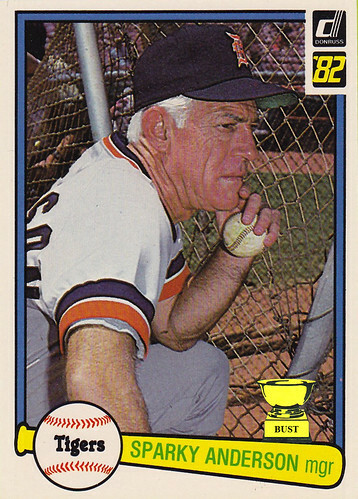 Sparky Anderson's train of thought from 2:11 to 2:13 p.m., April 14, 1982: "I wonder if I should eat this baseball. ... This Gibson kid isn't going to amount to jack squat, I bet. ... 'Sweet' Lou — heh. He wasn't so sweet when he was talking about Chet Lemon's mother the other day. ... Hey, you kids! Get off my lawn! Oh, wait, that's the bullpen. ... 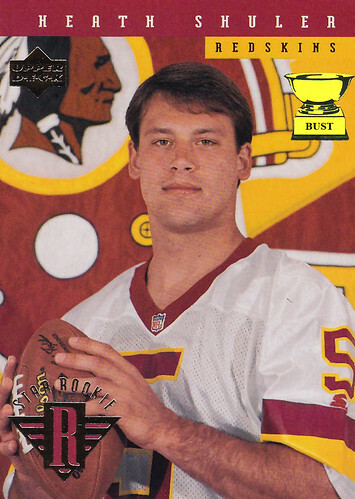 I still can't believe we signed a guy named Wockenfuss. Isn't that German for something to do with a guy's junk? ... If I look like this now, at age 48, I wonder what I'll look like at age 70? Hmm." Height: It's not the size of the boat, it's the motion — oh, I see. 6'1"
About me: Jes, I am Eric Show, the quasi-Latino lover, and I am here to love jou. My mustache is made from the finest fibers in all of Espana, and my hair contains enough oil to heat our home on cold winter nights. Please, allow me to be the one to gaze meaningfully into jour eyes as I ply jou with champagne and oysters, building to the moment when we kiss and my mustache's primary purpose switches from warming my lips to warming jours. What can you buy for a "lollar"? 4) "Hold on, I'm thinking deeply about your question while staring at the horizon." 3) A hat that wasn't fished from the toilet. The Legend of Frank Tanana: On a blustery day high above scenic Alaska, a young Frank Tanana and his family were attacked by an alien spacecraft as they flew home from vacation. Tanana's mother saved him and his brother by throwing them out of the plane with the only parachute. The alien attack scarred Tanana in a way that wouldn't show itself for years. As a teen, Tanana started feeling pain from behind his eyes. He visited a doctor, who discovered that only lenses made of ruby quartz could alleviate the pain. Soon after, Tanana's mutant power revealed itself, and he started shooting uncontrollable blasts of optic force from his eyes. With the ruby quartz shades and much practice, Tanana was able to harness his newfound power and make it to the big leagues, where scouts said he always had that X factor. 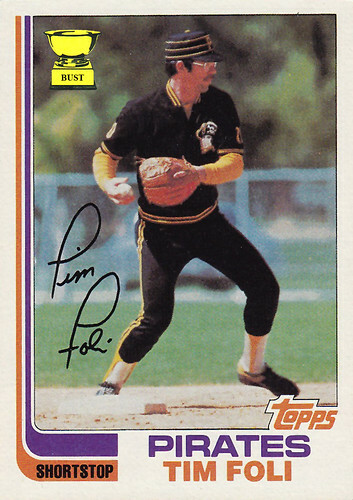 So, what does Tim Foli stand for? Fim Foli or Pim Poli; who can tell with this signature? Is that a V-neck jersey or do we need glasses as thick as Foli's? 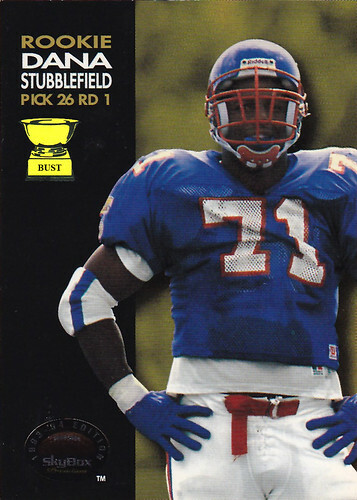 49ers' scouting report on first-round pick Dana Stubblefield: "This big kid could be a force if we find him a helmet that fits. ... 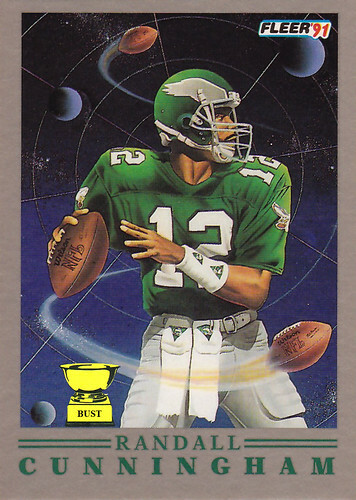 Despite his high school-looking uniform, he did play in college. 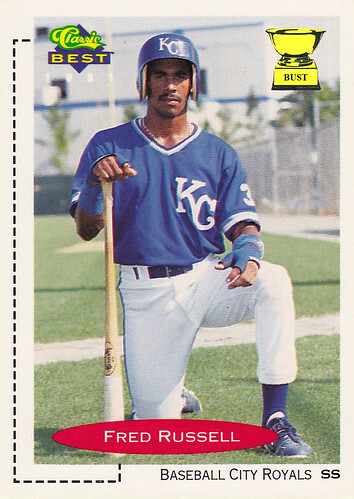 ... His use of a tube sock for an elbow pad and a bandanna for a belt shows he's resourceful. ... We'll ask this kid to wear those blue gloves when he's doing the dishes. ... In a surprising coincidence, our owners had plans to change the name Candlestick Park to Stubble Field. ... 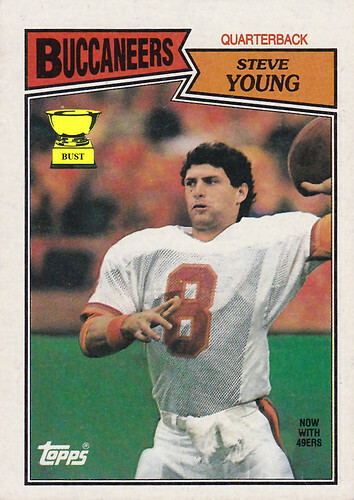 If he doesn't work out on the defense, we can use his sweat to water three-quarters of the San Joaquin Valley. ... Pro body, collegiate bulge." Jim Beattie to his biggest heckler (from Part 1), May 1, 1981: "Now what, smart guy?" 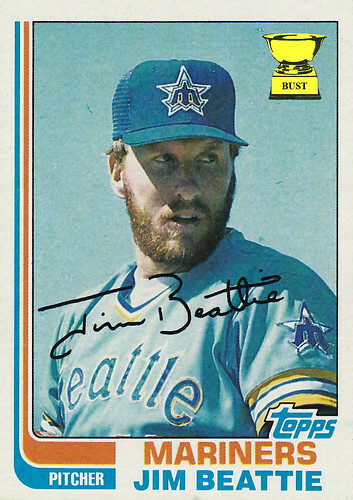 Heckler's rant to an attentive Jim Beattie, Sept. 12, 1980: "Hey Beattie, nice face. I can't tell what's bigger, your nose, your chin or your Adam's apple! Yeah, that's right, Beattie, I'm talking to you. Did you shave five minutes ago, or are you 12 years old? I haven't seen skin that smooth since the last time I met up with your wife! And good lord, man, are you even wearing a shirt under that jacket? Or are you just showing off the one place you can grow hair? You're a bum, Chin Beattie!" 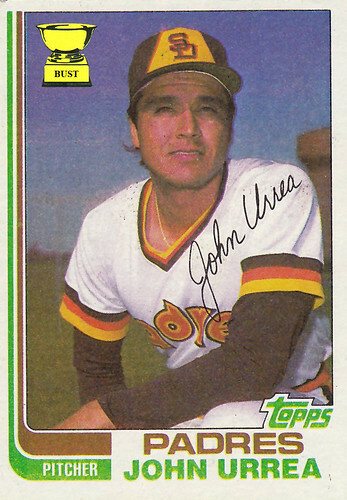 That name sounds familiar: John Urrea made a splash his first year in the bigs. 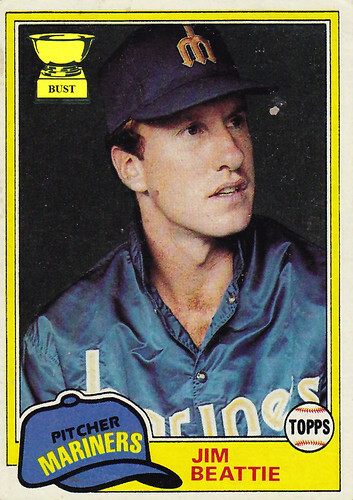 For the most part, the only hits he allowed were dribblers and a few balls that leaked into the outfield. He started off strong, producing a solid stream of wins. 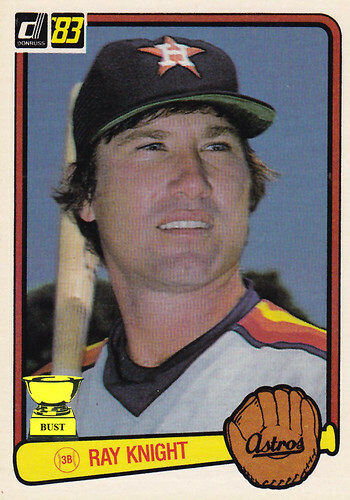 But by 1981, the last year of his career, the Padres looked to him for relief. And relieve he did. 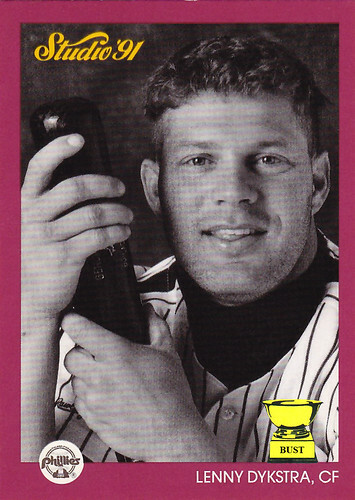 At first, he could do no wrong, leaving the team flush with saves. But the first time he got into trouble, he showed a yellow streak a mile wide. 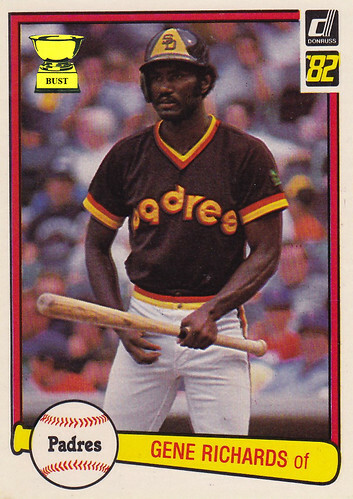 The Padres were forced to wipe their, um, hands of him. 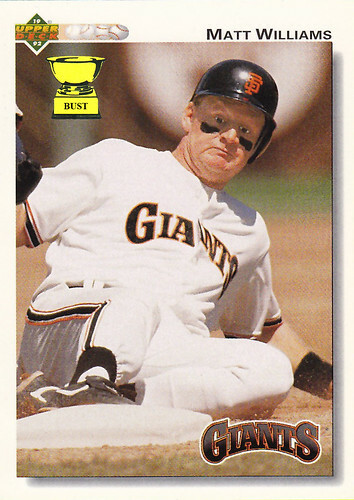 Choose your own adventure: You are Matt Williams, third baseman for the San Francisco Giants. 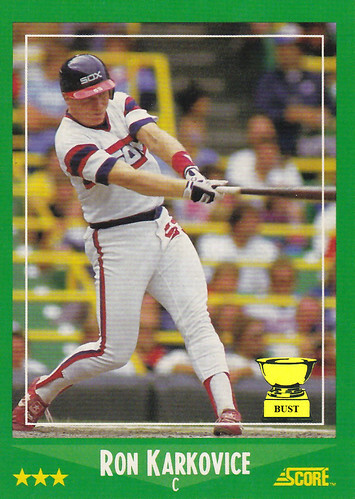 You've just drilled a ball deep to the gap and are rounding second, headed for a triple. As you slide in, you see something that startles the absolute cheese out of you. What is it? If it's a winning record, click here. If it's a future in which you wear a purple uniform, click here. If it's Willie McGee's face, click here. Just out of curiosity: What exactly is going on here? 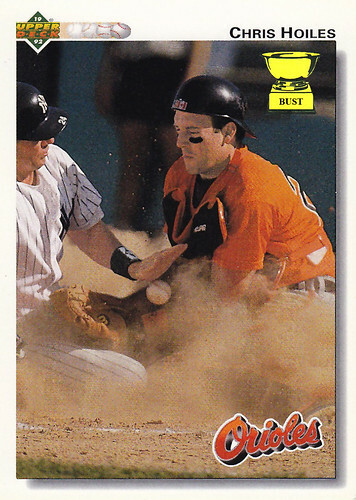 A) Kevin Maas and Chris Hoiles are just knocking that pesky chalk off the right-handed batter's box. B) Just a catcher coppin' a feel. C) The Orioles losing to the Yankees. Again. 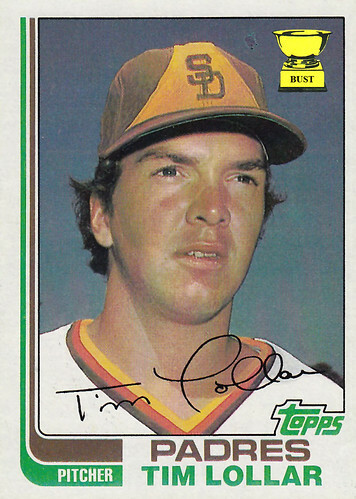 D) Looks like Pig-Pen made the bigs. E) Some of the above. The A200 is an orangish-brown. Mike Griffin's mat of chest hair is, too. The A200 has curly laces sticking out of it. Mike Griffin's head has curly red hair sticking out of it. The fingers of the A200 blend together almost seamlessly. Mike Griffin's neck blends together almost seamlessly with his head. The A200 conceals which pitch is going to be thrown. Mike Griffin's mustache conceals Griffin's pet hummingbird, Larry. The A200 is not a very good name for a glove. 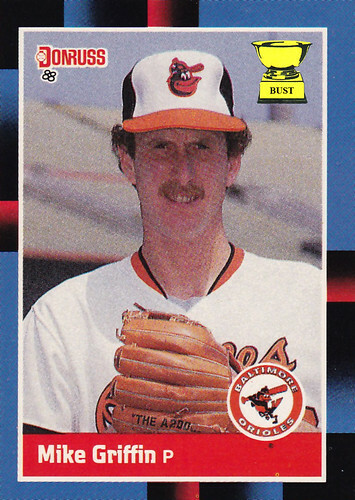 Mike Griffin was not a very good pitcher. Studio photographer: Mr. Gladden, how are you? Just have a seat and we'll get this over with. 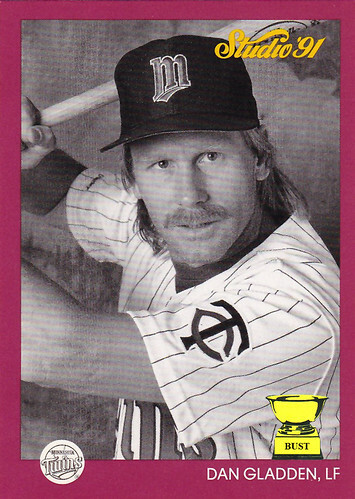 Dan Gladden: Don't tell me what to do. SP: No problem. Get comfortable, I'll snap a few photos, and we'll get this done. DG: Don't tell me what to do, crap breath. SP: Um, no pictures? This is a photo shoot. You showed up to a photo shoot. DG: Don't care. No pictures! DG: No one owns Dan Gladden, liver lips. SP: Did you just call me "liver lips"? DG: I did, liver lips, and I suggest you put away the camera. DG: That's it! No pictures! SP: Danny, what are you doing? (snaps photo) Put down the bat! (snaps photo) Ahhh! 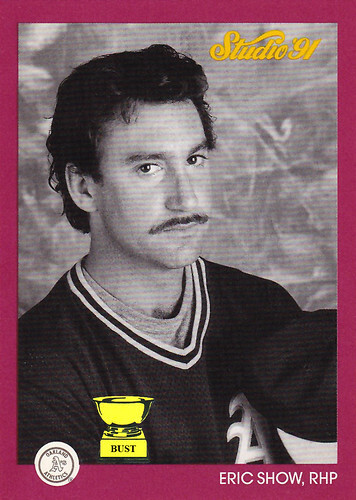 Value of card: Six 1-ounce cups of "sveum"
So, what does Dale Sveum stand for? Dashing looks (for a paper towel company logo). 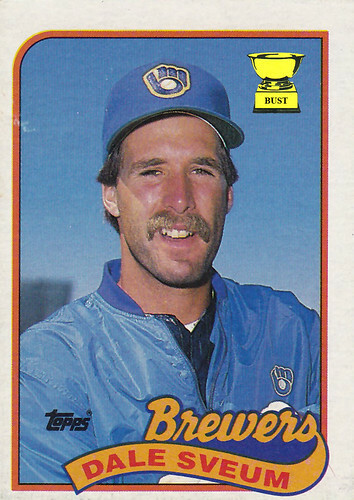 Alcoholism is a prerequisite when playing for the Brew Crew. Layer after layer is OK for a bench player. Eyebrows that match the 'stache. Sveum? It nearly killed him. Vacant look in his eye; vacant at-bat at the plate. Eagerly awaiting a much-needed haircut. 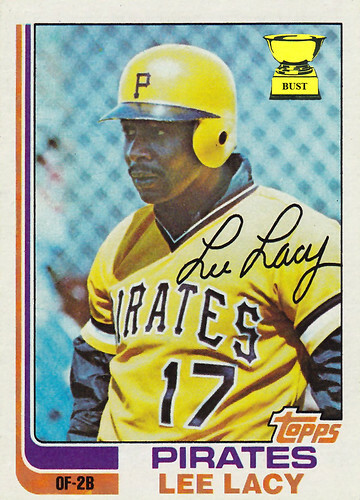 Mustache was the focus of the card and the man. 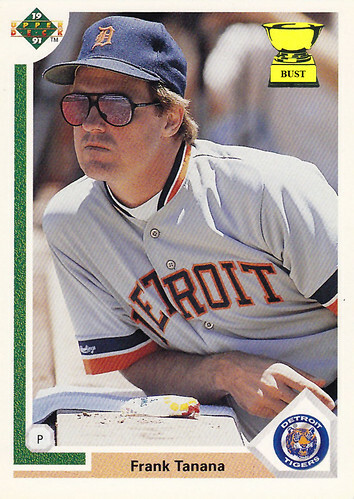 Value of card: "Whatever you want, Mr. Richards, just don't hurt me." Gene Richards' stream of consciousness from 2:22 to 2:23 p.m. July 14, 1981: "What is that guy doing over there? Why's he wearing the same puke-and-crap-colored jersey as me? Is he flashing gang signs at me? 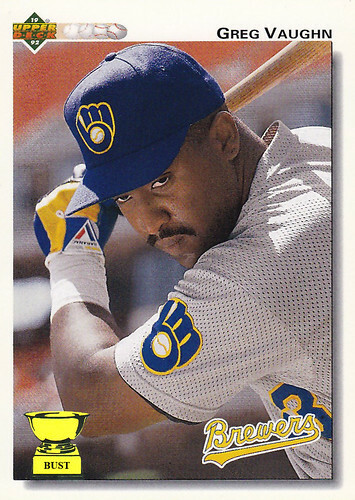 Hey, mother(expletive), I don't know who you think you are, but I'll come over there and beat you down with this here bat and these here granite-infused forearms. Hey, punk, you see me over here, looking at you like a raging bull? You see these handlebars? You see these lambchops? I'm-a, I'm-a, I'm-a 'bout ready to break out this beating stick on your old (expletive). Oh, wait. 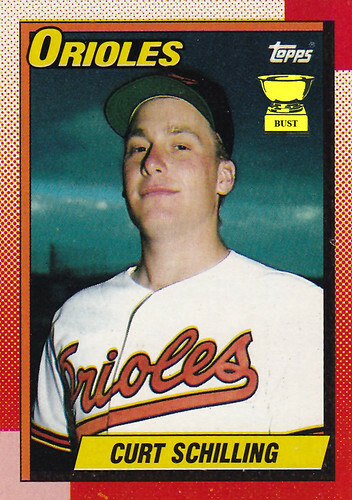 That's my third-base coach. Better get back in the box and hit." 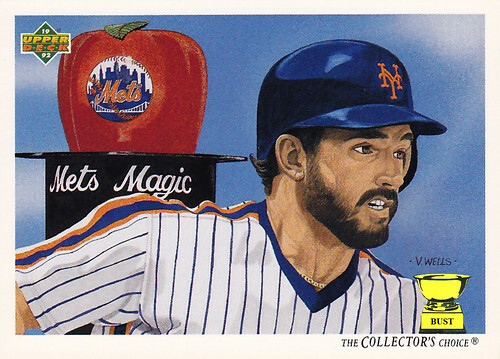 10) He pulled a dead Mr. Met out of a hat. 9) He turned string into an obnoxious gold chain. 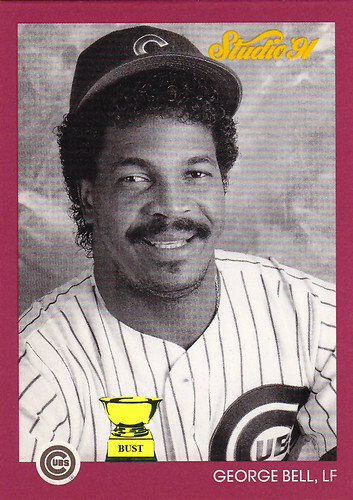 8) He sawed Dwight Gooden's cocaine line in half. 7) He made incredible puns out of New York City and a large piece of fruit. 6) He levitated. 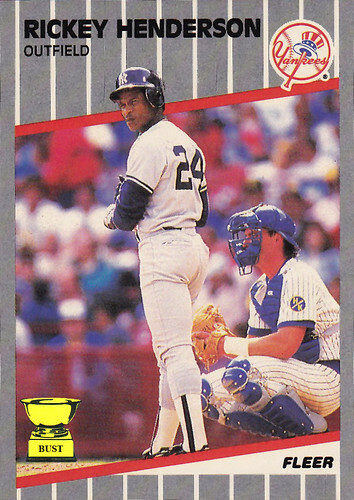 Well, only in the eyes of Darryl Strawberry, who was really, really high. 5) He vanished down the stretch. 4) He bent a spoon with his mind (and a pair of pliers). 3) He changed himself into comical illustration and started growing bulges out of his neck. 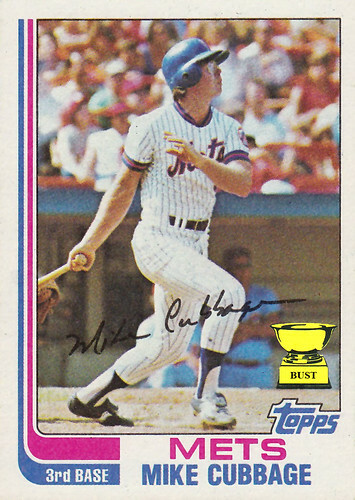 1) He made Mets wins disappear. What's going on with Ray Knight's face? Synopsis: Not only did these guys refuse to lose to the Giants, they couldn't even lose to each other. 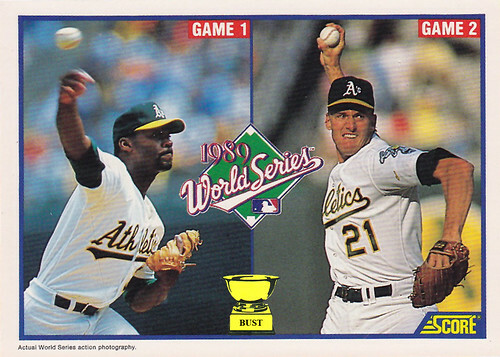 But while a tie may be unsatisfying, the important thing about his card is the Actual World Series action photography. Thanks for pointing that out, Score.